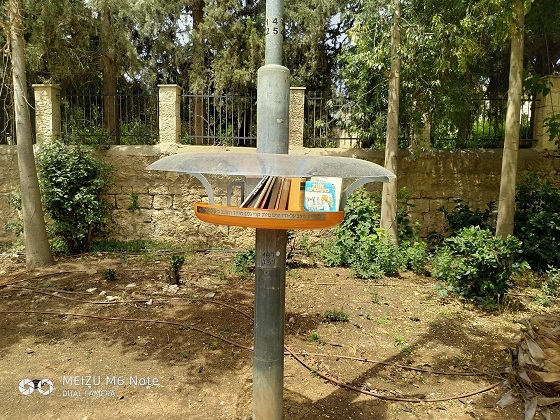 On January 25th, 2016 heavy snow was expected in Jerusalem, Shlomit Krigman, 23 years old, Left her grandparents’ house in Beit Horon early to make it on time to her work. Two Palestinian terrorists who broke into the settlement attacked her and stabbed her, Shlomit was wounded badly and rushed to Hospital where she died ten hours later. Shlomit died 10 days before her 24 birthday. 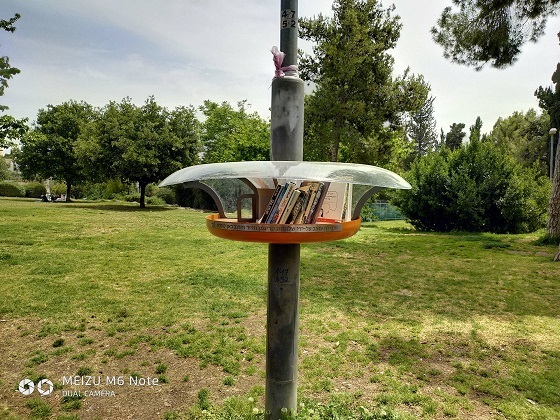 Shlomit designed street library that would be placed in public places and serve the public. 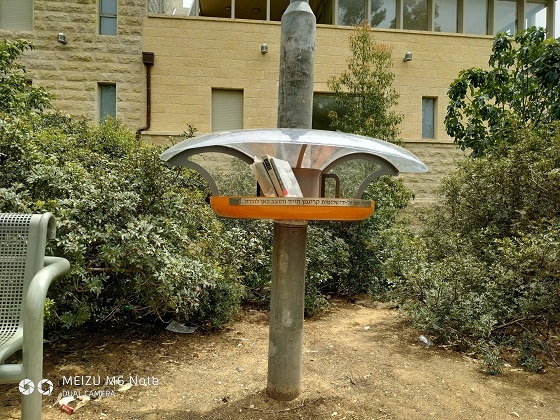 In her memory her family placed one such library in San Simon park in Jerusalem.